For the first time scientists have detected atomic oxygen in the atmosphere of Mars, since the last such observation four decades ago. According to a report, the discovery was made by the Stratospheric Observatory for Infrared Astronomy (SOFIA), which found oxygen atoms in the mesosphere, i.e. the upper layers of the red planet's atmosphere. 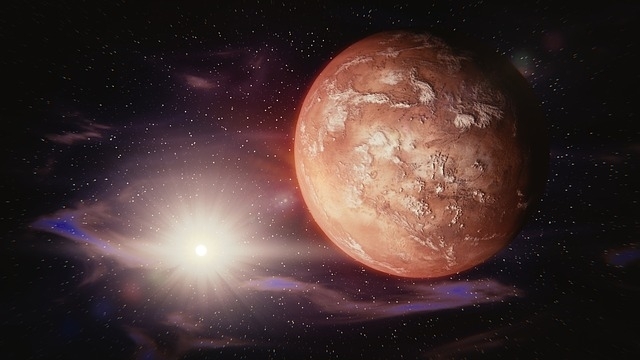 According to a report published by NASA, atomic oxygen impacts the escape of other gases from Mars and therefore has an important effect on the atmosphere of the planet. An instrument aboard SOFIA could detect only half the oxygen amount expected, which could be due to variations in the atmosphere of Mars. Researchers will continue to use SOFIA to analyze the variations to have more knowledge about the atmosphere of Mars. "Atomic oxygen in the Martian atmosphere is notoriously difficult to measure," said Pamela Marcum from SOFIA. "To observe the far-infrared wavelengths needed to detect atomic oxygen, researchers must be above the majority of Earth's atmosphere and use highly sensitive instruments, in this case a spectrometer. SOFIA provides both capabilities". The last measurements of the Martian atmosphere for detecting the presence atomic oxygen were made in the 1970s by the Viking and Mariner expeditions. SOFIA, a joint project of the German Aerospace Centre and NASA, is a Boeing 747SP jetliner. The craft has been modified to carry a 100 inch diameter telescope aboard it. The German Receiver for Astronomy at Terahertz Frequencies (GREAT), one of the instruments of the observatory has advanced detectors that enable the experts to differentiate the oxygen found in the Martian atmosphere from oxygen on our planet's atmosphere. The recent observations regarding the detection of atomic oxygen on the red planet's atmosphere was possible due to SOFIA's location, which flies between 37,000 to 45,000 feet above most of the infrared blocking moisture in the atmosphere of our planet.